Pathways, squares and parks: how tourism can be managed through planning and design. The increase of tourists in the inner-city of Amsterdam has its side-effects. Many neighbourhood streets and squares are overcrowded with tourists, eagerly gazing up the oh so popular city, often ignoring other pedestrians, bikers, trams and automobiles. For some the city appears to have become a place hosting outdoor queues, hordes of obnoxious gazing strangers, boozy mobs and catastrophically unexperienced bikers. In this project we use a research by planning and design approach to come up with innovative, integrative and aesthetical physical interventions for inclusion/exclusion to influence the time/space behaviour of tourists and residents. We look at the present ways of conducting the conduct of people by redesigning a public park and interviening on a pub;ic square and the pathways which make it accessible to change the flows of tourist and their routings. We use the designs to study the potential impact of design on the time/space behaviour of tourists and residents. We make explicit the more covert power mechanisms embedded in urban landscapes and artefacts that influence people’s behaviour in time and space. We do so to gain a better understanding how the urban fabric is currently shaped, designed and planned to perform different tasks. During the case, participants will explore the material manifestations of city tourism, particularly the many ways in which human behaviour is steered, coordinated, enabled and limited by means of elements such as speed-bumps, walls, wires, street patterns, surveillance cameras, and so on. The students will map and analyse the politics of artefacts present in Amsterdam that co-influence the present tourismscapes. We will come up with solutions that influence people in more implicit/explicit, inclusive/exclusive, efficient and/or humane ways. The interventions can be on different levels, from benches that also function to limit the possibilities of cars driving into a crowd to implicit and explicit design of routes. We will test and/or present the ideas. Students are encouraged to test their design or elements of that design in real-life situations. If it is impossible to test them in public space, they should be discussed with different relevant stakeholders. The outcomes of these studies can then be used to improve or critique the initial ideas in Amsterdam. Geographers speak of the politics of artefacts when they observe ways human behaviour is steered, coordinated, enabled and limited by artefacts, design and different spatialities. A famous and often used example is a speed-bump. Speed-bumps slow cars down since otherwise they would have a very bumpy and dangerous ride. Another name for speed-bumb is a ‘silent police man’. The name expresses nicely that a speed-bump is a material object performing the task of a policeman, whereby the task formally done by a human actor is delegated to a non-human one. Chinese landscape architecture student in the master programme of WUR. I had my bacher in Huazhong Agriculture University in landscape architecture. I’m new and interested in the field of tourism. During my bachelor, I focused on solving urban issues through design in different scales. For example, a park designed for different groups of people and avoiding conflicts between them. During the master, I have finished a regional design for developing tourism in the coastal area of Groningen. In this project I would like to find possible solutions for the tourism issues through design. Chinese Spatial planning student in the mater program of WUR. I have participated a few projects about stimulating tourism industry in urban and per-urban scale. Now studying a Dutch context of tourism from the perspective of spatial planning student. It is interesting to know different attitudes between two countries. German landscape architecture student in the master programme of Wagenungen University & Research. New in the field of tourism, but a great interest in how spatial interventions can influence and guide tourists. Especially in Amsterdam the problem that evolve around mass tourism can no longer be neglected because the tension between locals and tourists is growing and can lead to problems in the future. 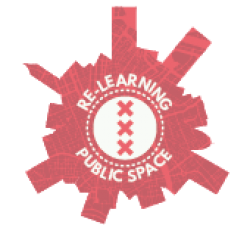 I believe that a solution can only be found when locals, tourists and the municipality participate in a collective vision for future Amsterdam. I am a Landscape Architecture master student at Wageningen University. I have been to Van Hall Larenstein for my bachelor degree in Garden and Landscape Architecture. I am interested in the topics Environmental Psychology and Public Health. This project is part of my master Landscape Architecture at Wageningen University. During my bachelor I learned about Jane Jacobs and Jan Gehl and got inspired by their philosophy. I choose to follow the optional course environmental psychology to learn more about the human experience and use of the environment. Landscape architecture student from Sweden that’s on an exchange here in the Netherlands. I have studied at the master programme of Wageningen University this semester and the Atelier Landscape Architecture and Planning is my last course that I take before I go back to Sweden. My interests lie foremost in the development of urban environments and how green areas can be implemented in our cities. I have also studied art and I am therefore interested in how that affects different environments and how we can work with art in public space. Master Student of Landscape Architecture and Planning at the University of Natural Resources and Life Sciences in Vienna/Austria and currently for an exchange semester at Wageningen University. I am at the end of my first master programme year and have mixed expertise on topics around spatial planning & landscape architecture and planning since my bachelor was a mix of it. Currently I go more in the direction of spatial planning, mobility & network planning as well as environmental psychology which reflects my main interests. I have already done an internship in a landscape architecture office focusing on designs of public places and worked as an assistant of a self-employed landscape architect with focus on educating pupils all around nature related topics as well as projects around vertical gardens and roof gardens. A master student studying at landscape architecture and spatial planning at Wageningen University. Bachelor programme is urban and rural planning in China. During the bachelor study, working at various scales of urban planning projects. From architecture design (kindergarten design, residential design), urban design (Industrial area design, commercial area designs) to different scales of urban and rural planning projects. Working about project strategy and spatial planning during the master study in WUR. Also, I experienced as an assistant planner during the internship work, mainly working in data collection and modelling of a urban and rural planning project. I’m doing my fourth year of studying landscape architecture at the Swedish University of Agriculture in Uppsala. This semester I am continuing my studies at Wageningen University as an exchange student. Before, and along with studying I have worked for several years in the service and tourism business. For instance I have worked as a ski instructor and also with hosting team building events and activities in the central parts of Stockholm. Those jobs have given me some experience in how people behave in groups and also broadened my view in different personalities – something you could apply on landscape architecture while making public places for everyone. In my education so far, I have especially found interest in developing a coherence and interplay between people and biodiversity in urban areas. I am currently participating in a project at Wageningen University and research about landscape architecture and mass tourism in Amsterdam. The project is focusing on research and design options for spreading tourism in other parts of Amsterdam than the city centre. 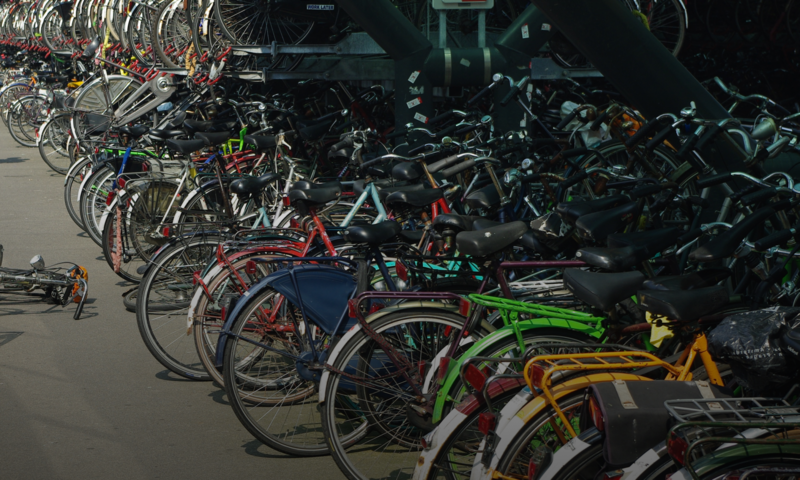 The main strategy of the project is about integrating tourism with the residents of the areas outside of the city centre of Amsterdam as a way to find a sustainable social situation for tourism. To take part of others experience and knowledge in this subject at the event would be very enriching for both my studies and personal interest of this topic. I am a master student of the programme Landscape Architecture and planning at Wageningen University, with a specialisation in Landscape Architecture. Within my study I work on projects on different scales, both urban and rural. I studied for 6 month at Istanbul Technical University as part of an exchange program. In Istanbul I got interested in mass tourism in cities, because the tourism (sector) had such a big influence on the systems in the city. Several times a year I am a tourist myself in different places around the world. Currently I am involved in a research and design project about mass tourism in Amsterdam. As a Dutch citizen I visit Amsterdam on a regular basis and I experienced the vibe tourists bring to the city. As a master student Landscape Architecture, I am fascinated by influences on behaviour and lifestyles through designing public space. With the project I want to contribute to the discussion about how tourists and residents could come together in public space. I am a master student Landscape Architecture and Planning at the Wageningen University. Before my masters I studied Garden and Landscape Architecture at the University of applied science Van Hall Larenstein in Velp. I worked for half a year in a landscape architecture and urban design office in Utrecht and got experience with participation projects. As landscape architecture student I am interested in the different ways people move and behave in the environment. In a time where cities has become to play an important role, and city life is for many people their daily reality the development of tourism in cities is worth studying. I think it is important to create places in cities where people want to stay and live, focusing only on the material side of space and consumption may be a narrow perspective. An important lesson I learned during my studies is that public space is about interaction, different identities and stories.